Welcome to Harmony at Lakewood Ranch. The 3 bedroom, 3 bath townhome style is an end-unit, having extra windows and increasing daylight inside, and offers an oversized screened lanai and 2-car garage. The first floor is well designed with a lovely great-room open to the kitchen that offers stainless appliances, granite tops with breakfast bar, a good amount of cabinets and nice sized walk-in pantry. A designated space for your breakfast table and a clever office-nook is built-in plus a full sized laundry room. Two bedrooms on the first floor with desirable split plan design. One bedroom and full bath with tub/shower to the left of entry and a spacious Master Bedroom suite with tray ceiling, tiled shower, dual-sinks and walk-in closet at the other end. The second level is perfect for a guest or teen suite having a bedroom, full bath, bonus room and extra storage. 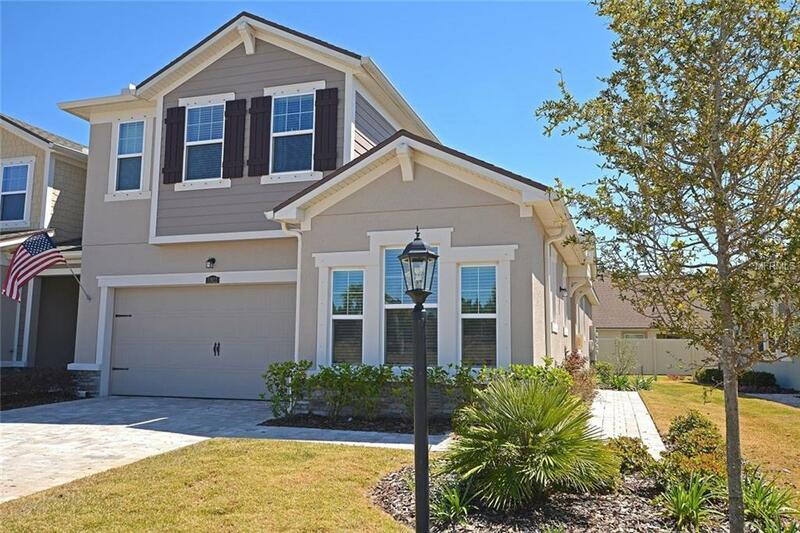 Bring your pets, and pay only $205.00 per month for yard maintenance and use of Harmonys great resort style facilities - community pool, fitness, playground, sidewalks, and a super Lakewood Ranch location. A-rated schools, LECOM College of Osteopathic Medicine, University Town Center, shopping, dining and more. Be part of the 2nd largest growing master planned community in the US, Lakewood Ranch and have newer construction built to our stringent Miami Dade codes. Buy today and move-in tonight! Additional Lease Restrictions Provide Lease To Property Management Co.